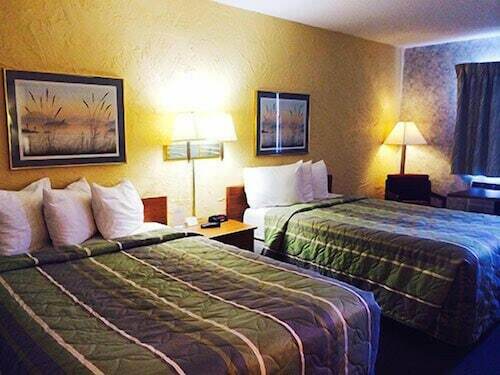 This downtown Milwaukee hotel is located in the city’s bustling center, close to the Milwaukee River, one block from Bradly Center and Milwaukee Theatre, and linked via skywalk to shops on Grand Avenue and various restaurants. 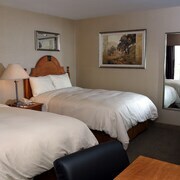 This restored 1920s Art Deco hotel, located in downtown Milwaukee, is 4 blocks from Marquette University, and near many conveniences, such as train and metro stations, shops, a ferry terminal, and a convention center. Opened in 1893, this grand dame of Milwaukee is set in the financial district, 3 blocks from the Lake Michigan waterfront, and within 8 blocks of cultural, entertainment, and convention venues. 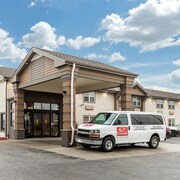 Situated in Mequon, this motel is 3 mi (4.9 km) from Lynden Sculpture Garden and within 6 mi (10 km) of Concordia University Wisconsin and Kapco Park. Schlitz Audubon Nature Center and Walter Schroeder Aquatic Center are also within 6 mi (10 km). 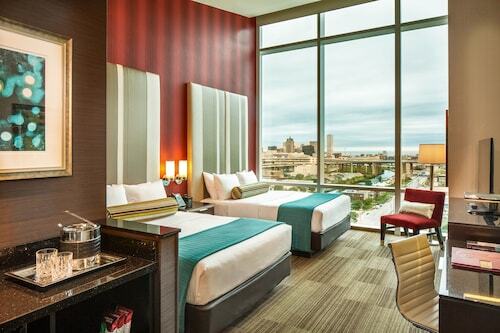 How Much is a Hotel Room in Milwaukee? 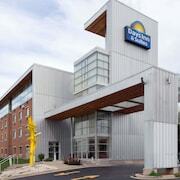 Hotels in Milwaukee start at $39 per night. Prices and availability subject to change. Additional terms may apply. 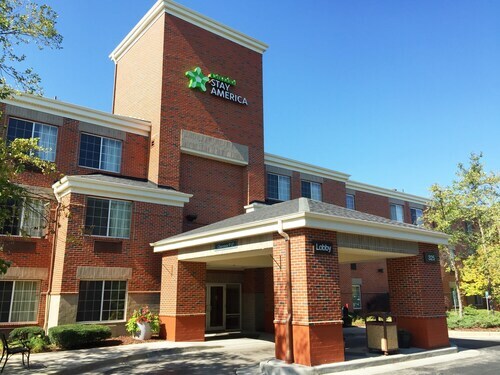 Follow along below, and we can help you figure out where to stay in Milwaukee so you’ll be near all of the major attractions. 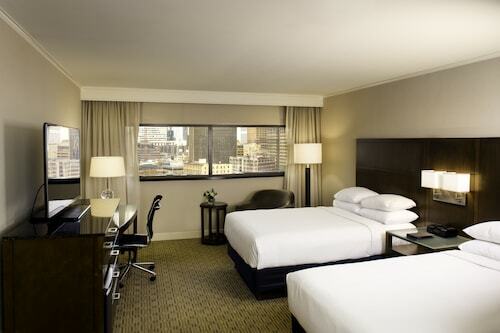 The Pfister Hotel: Located in the heart of the downtown district, this historic, luxurious, AAA Four Diamond Award hotel has a number of suitable room options for you. Reserve one of the club rooms so you’ll have access to the Pfister Club Lounge where daily breakfast and lunch are served and hors d’ oevures are offered at happy hour. 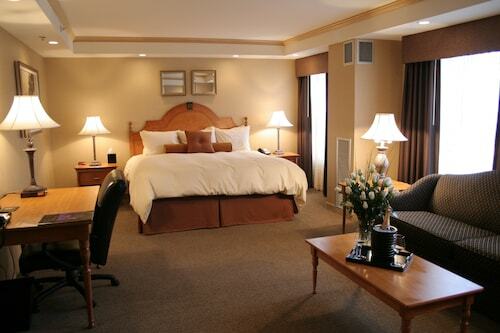 The Tower Rooms provide you with sweeping views of Lake Michigan and beyond. 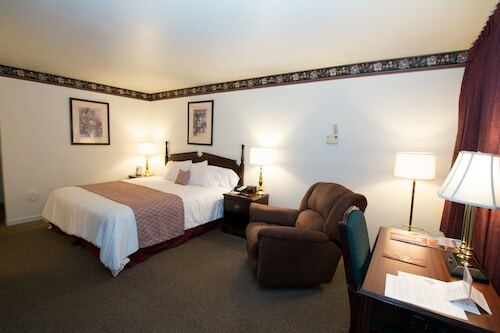 But if you really want to live in the lap of luxury, try a stay in the penthouse room known as the Governor’s Suite. Hyatt Regency Milwaukee: Another downtown beauty, the Hyatt Regency is a perfect place to call it a day after exploring the Pabst Brewery Complex. Enjoy a meal at the on-site restaurant, Bistro 333, followed by a night cap at Bar 333. If you don’t feel like making your way all the way down to the restaurant and bar, room service is always just a call away. Intercontinental Milwaukee: Located just a few blocks from the scenic Milwaukee Riverwalk, the Intercontinental is about as centrally located as you can get. Enjoy a drink at the CLEAR Lounge and then make your way to the Pabst Theater for a show and the Milwaukee Art Museum for some creative inspiration. Hilton Milwaukee City Center: If you prioritize wellness, the Hilton boasts a more than suitable on-site gym with all the exercise machines you need to get a full-body workout. After your workout, head to the Well Spa & Salon for a relaxing massage and hair appointment. Milwaukee Public Market: Do you feel like exploring the city’s food scene outside of the hotel’s restaurant? Whether you’re craving a hot bowl of New England clam chowder, have a hankering for a taco plate, or want a healthy, fresh salad, you won’t have a problem finding it here. Brewery Tour: It’s true that some of the larger scale breweries have left the city in the last decade, but the number of microbreweries continues to grow. Milwaukee Brewery Tours will take you on a journey through the city’s favorite beverage. You’ll visit places like Brenner Brewing Company, Sprecher Brewery, Biloba Brewing Company, and District 14 Brewery & Pub. But the tour will end at the granddaddy of them all: the MillerCoors complex. 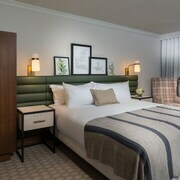 You’ll sleep great back at your hotel after a big day of tastings. Harley-Davidson Museum: The 100-year history of the iconic motorcycle brand is on display at this 130,000-square-foot, three building complex. Take a walk through the motorcycle archives and see cycles from the early days of the company, and then head over to the gas tank gallery where over 100 hand painted gas tanks hang on the wall. The Midwest is home to cities like Chicago, St. Louis, Minneapolis, and Detroit—all fine in their own right, but a trip to Wisconsin’s largest city should be first on your list. 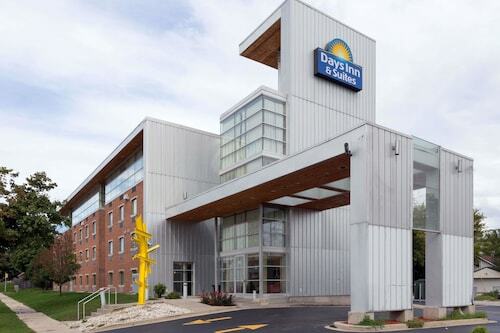 Travelocity’s deals on cheap hotels near Milwaukee are unbeatable so take advantage of them now and you’ll be on your getaway tomorrow. We were able to check in early. They were very accommodating. 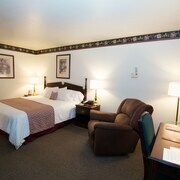 The staff is warm and very accommodating. Place is clean. The breakfast is great.